I already knew I wanted to become a veterinarian. And so I did, and graduated in 1998 as a veterinarian. 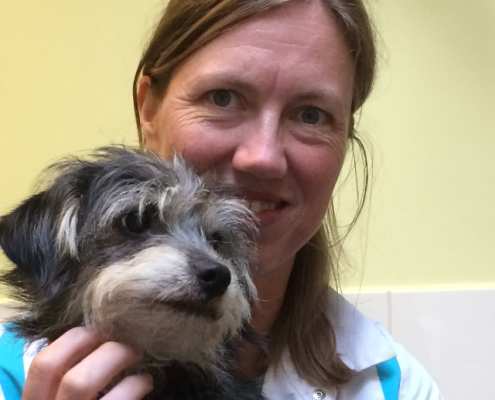 I have seen over 175 vet clinics from the inside, as a Veterinary Territory Manager at Hill’s diet pet foods. And after that, I started my own clinic in 2006 in the hart of the Jordaan area in Amsterdam. 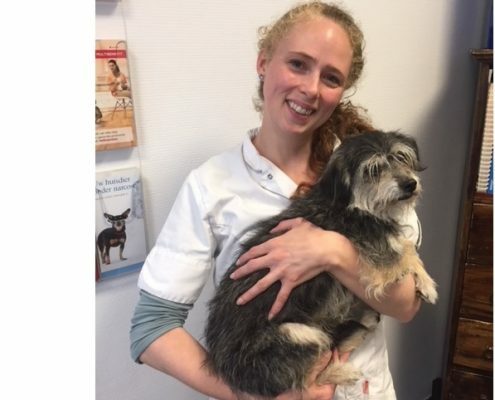 a beautiful vet clinic where care and love for your beloved pets is the center of our operation. At home I have 2 children, Melle and Annelieke. 2 cats, Bella and Minouche (which are sisters). And Roosje, my lovely canine. 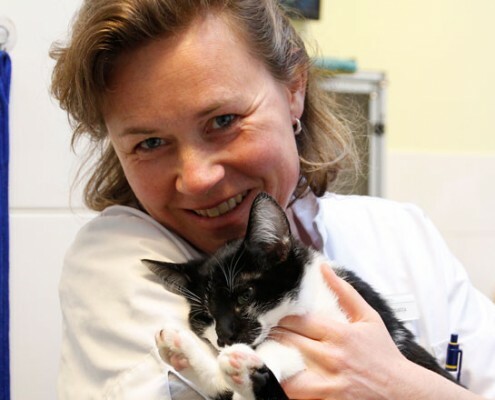 In 2001 I graduated as a veterinarian in Utrecht. 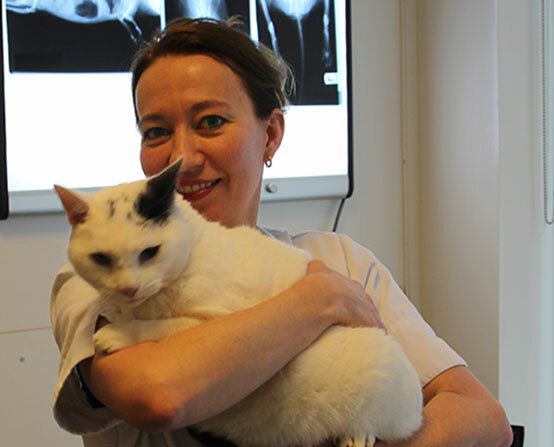 After that I worked at various vet clinics before I started working at De Jordaan in 2007. And I haven’t felt bad about that decision since. We dedicate honest attention and care towards your pet. 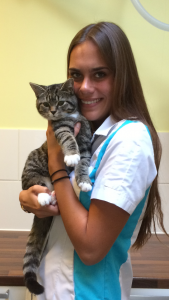 and expertise I build as a veterinarian at a dedicated cat clinic in the United States. I have 2 cats myself and live together with my boyfriend, our daughter and son of 8 and 4 years old. I’m looking forward to seeing you at De Jordaan! 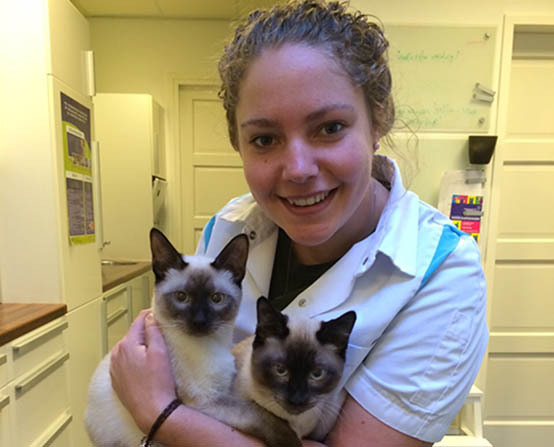 I have been a vet-tech at De Jordaan since 2010. Working with people and their pets keeps presenting different situations every day. And so I keep working here with joy and pleasure. My dog Moortje joins me regularly to work. I have been working at this clinic since February 2016. Involvement and attention for pets and their owners is of great importance to me. The changing situations and nice colleagues, make me go to work with joy each day. For now as an assistant and in the future as vet-tech. I live in Diemen , with my husband and two children. And our guinea pigs Smikkel, Kruimel and feline Emma. My name is Sophie Schagen. I live in Amsterdam and have 4 pets, 2 cats and 2 dogs. I’m glad I can make my profession of my passion. Since September 2016 I work in this practice and it gives me a lot of opportunities to increase my knowledge.